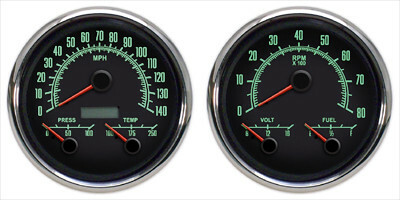 Kits to install any of our 4-3/8” gauges in your 67-68 Camaro and firebird. 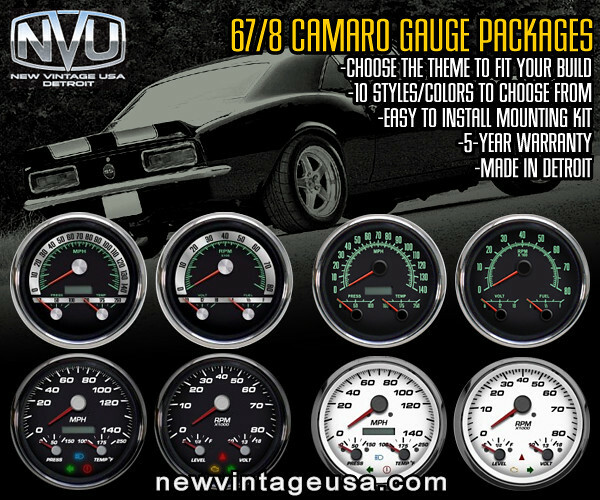 Use our exclusive mounting bracket to easily install ANY New Vintage 4-3/8” 2 gauge kit. Bracket is made of laser cut ABS and installs in minutes. 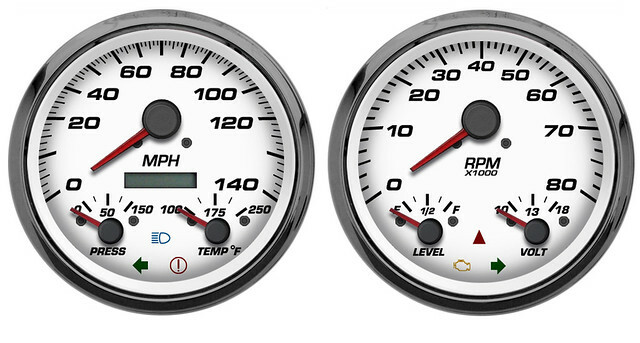 Choose the style of gauge that fits your build. 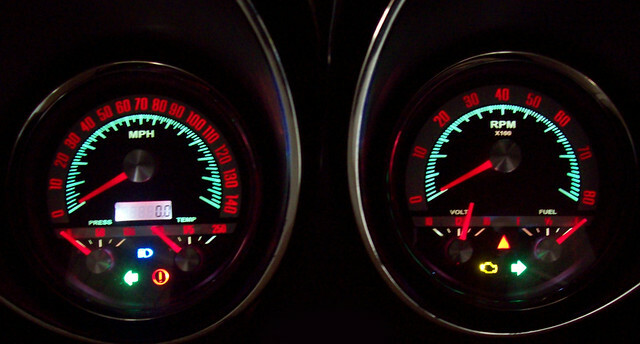 The 68 or 69 series for a musclecar, factory installed look, the performance style for a modern, pro-touring appearance. 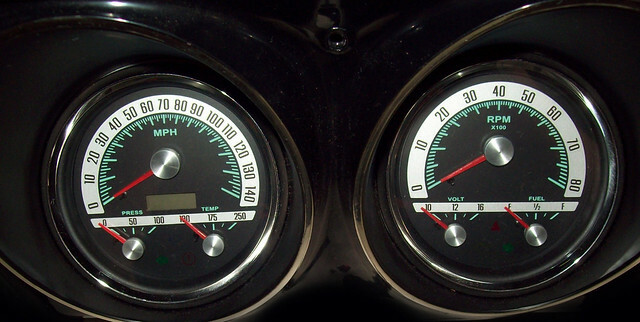 Set up your dash the way you like. 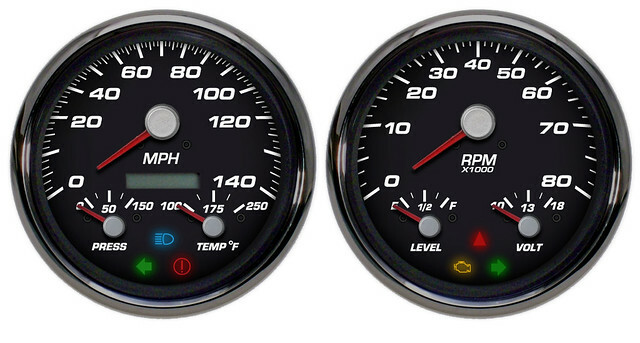 Select a 3-in-1 gauge kit to place all of the vitals in the 2 gauges in the factory dash, or go with our 4-3/8” tach and speedometer, and then add on the minor gauges in the console, its up to you. 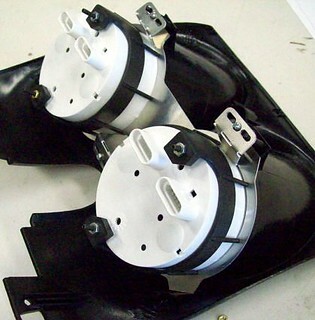 Below: Mounting bracket is simple to install. Choose the 68 series for a SS/RS look. I bought the 69 series. Really like the look and getting all the functionality right in front of me. What I don't like is NVU customer support. I've tried a couple different times to contact them. No one ever answers the phone or calls back.